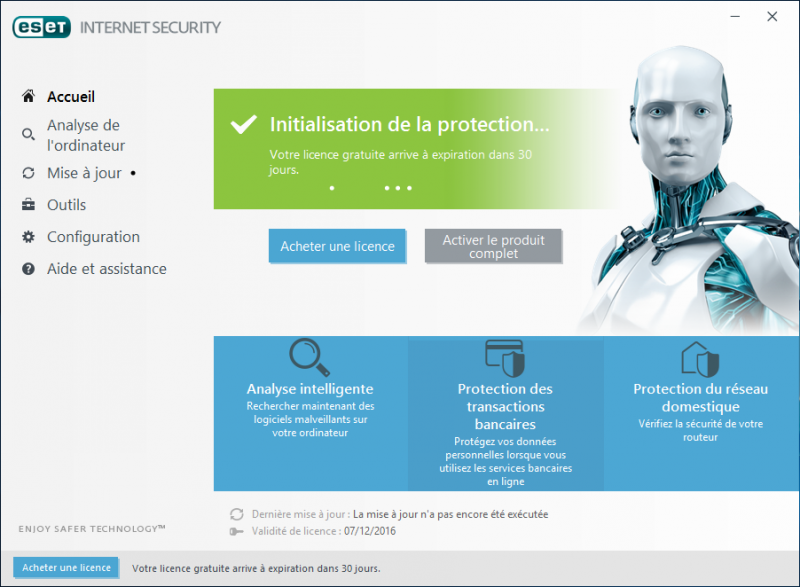 ESET, the security solution provider, known and recognized for its high-performance software, is offering a new range of products this year, with a few minor changes. ESET now offers a range of four software packages, namely ESET NOD32 Antivirus, ESET Internet Security (formerly Smart Security), ESET Multi-Device Security and ESET Smart Security Premium. 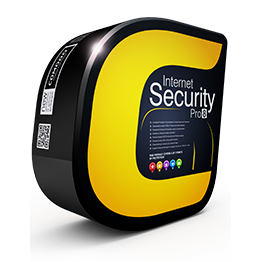 Four products that aim to protect individuals from the dangers of the Internet, whether online or offline. 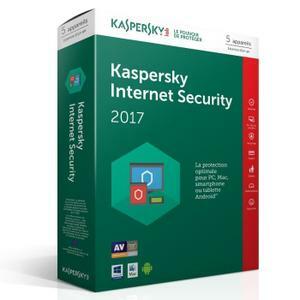 In this sense, the publisher has chosen this year to strengthen the security offered by its products by adding multiple functionalities. 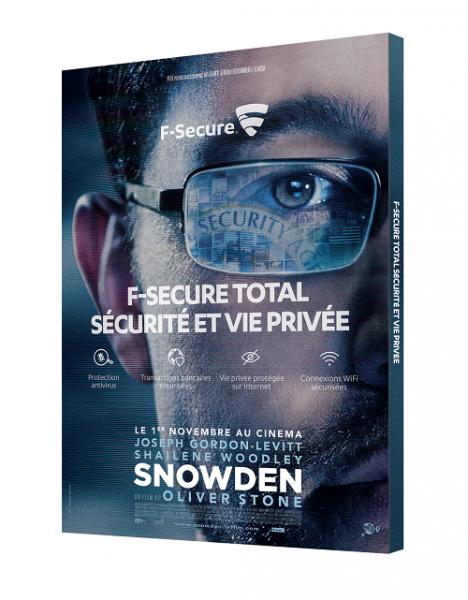 So are these new products up to the expectations of ESET customers? Is the addition of these tools enough to switch from version 2016 to version 2017? This is what we will see in this test. Let's start with the installation of the software, which went smoothly. Indeed, ESET has always accustomed its customers to software that is easy to download, install and globally use, which is once again the case with the new version of the publisher's security suite. With ESET no fuss, you know where you're going and what you're talking about. From the installation phase, the security software offers the activation of protection against potentially unwanted applications, and the ESET LiveGRID comment system. These are options that we consider particularly useful and that we have therefore accepted without any problem. Interface side now no big improvements! 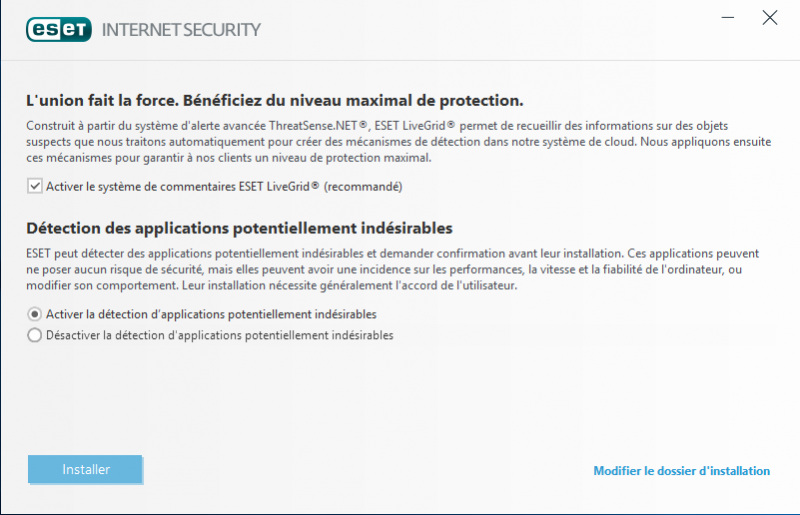 Beyond the name of the software that has been changed from ESET Smart Security to ESET Internet Security, and the addition of the Home Network Protection tab, we can see that ESET has retained its original interface. It must be said that we didn't have much to blame her for last year, and that we're not very happy to see her again. Very intuitive, this interface allows you to easily navigate between menus and quickly find the essential security features such as antivirus scanning, anti-spam, parental control and bank protection. 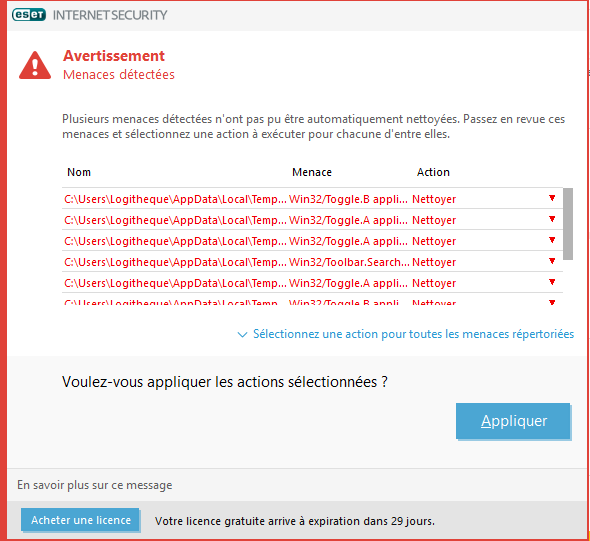 On the other hand, while other security suites are waiting for the green light from their users to update their databases, ESET performs this task automatically, as soon as the software is first launched on the computer. A real asset that marks the intuitiveness and reactivity of the ESET security suite. Oh, nice new little tab on the right side of the screen! 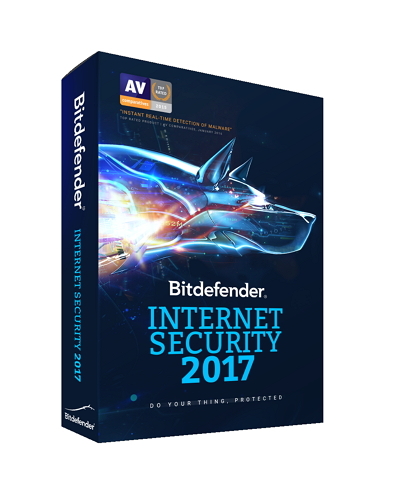 Before I talk to you about antivirus scanning, and about ESET's detection performance, let's talk about what's new in this latest edition. While many security software vendors are wrongly selling their new product range, with only corrections from their previous version as new features, ESET is not at all offering real new features. 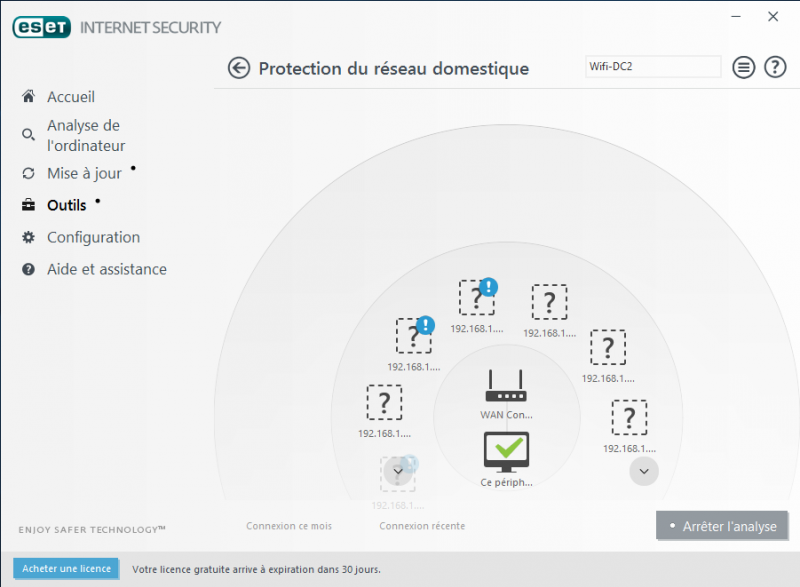 ESET Internet Security therefore integrates advanced protection for the users' home network for the very first time. What does it consist of? Simply identify the connected devices in the network, and allow or block access to them. An additional way to protect your computer but also your digital identity against malicious users who would see in the network an open door to illegal actions. 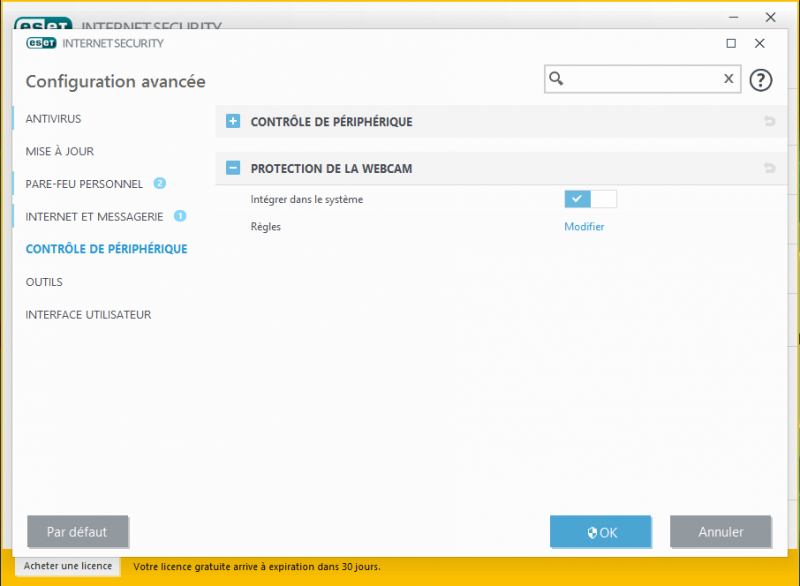 The second major new feature of ESET Internet Security version 10 is its webcam protection module. While most users have understood that their devices can be threat vectors, still too few people consider the webcam as a potentially dangerous tool and yet... Many hackers take control of webcams to spy on their victims and act without their knowledge. Faced with this situation, ESET decided to take the offensive by integrating webcam protection capable of detecting and blocking webcam hacking attempts into its security suite. A second tool that once again enhances ESET customers' security by protecting them from video spying. Protect your webcam in one click! In addition, ESET Internet Security obviously retains the key tools of the previous version, namely banking protection and parental control. The first is as effective as ever, allowing you to access your bank accounts and make purchases online in complete security, while the second helps protect children from the dangers of the Internet. In this sense, to set up parental control, which is disabled by default, it is necessary to create a parent account and a child account, with the authorized and prohibited categories for each of them. If technically the parental control works very well, (it has blocked us access to an alcohol sales site), it is still very fragile from a configuration point of view. Indeed, the parent account from which all control actions are performed is protected by a single password, which is far from sufficient for us, especially when we know that today's children often know how to use a computer better than their parents. Parental control is therefore easily bypassed if you use a little judgment. 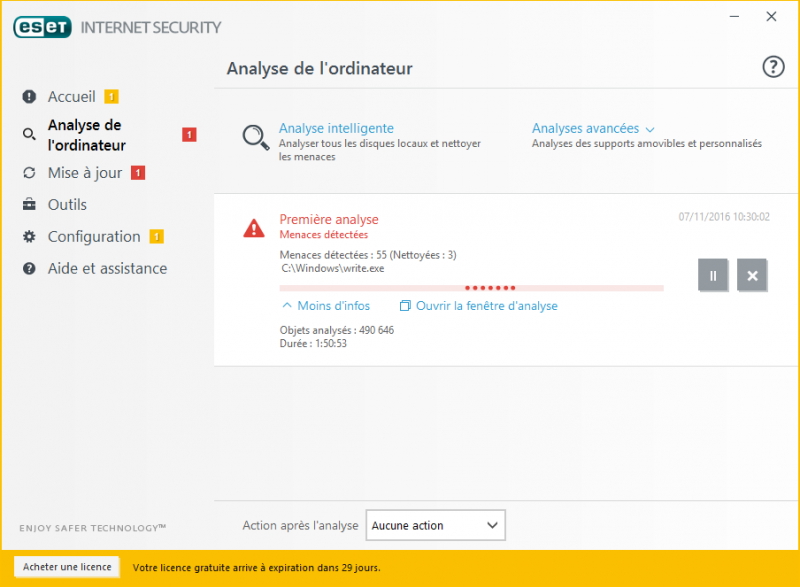 Let's finish this test with what you're all waiting for: antivirus detection. The advantage of ESET is that even if the user is a true IT security novice, he or she is sure to be extremely well protected. In addition to being very reactive to threats, the software works on its own, in the background, letting the user navigate through his or her activities. 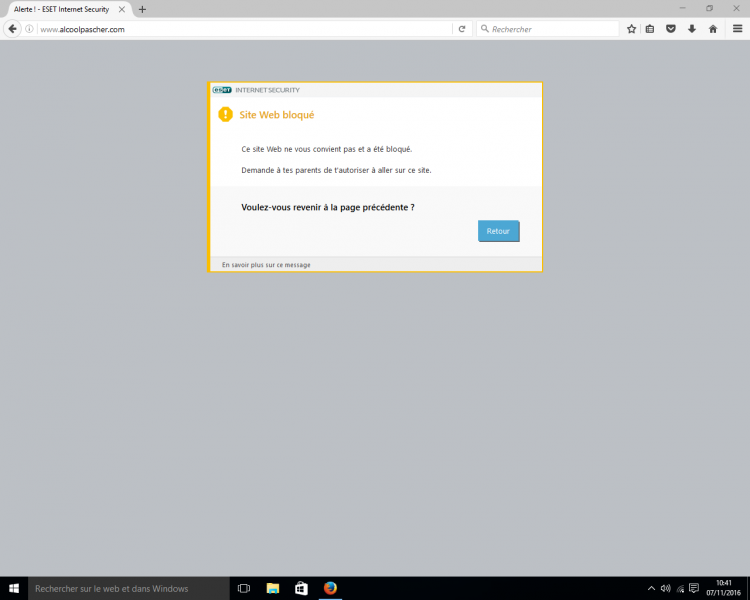 Thus, after installing the security suite on our test PC, ESET Internet Security version 10 itself launched a first antivirus scan. An analysis that took nearly two hours of work but ended with conclusive results. Indeed, all threats have been found and removed automatically. However, as the progress bar is non-existent, the follow-up of the analysis is impossible, which we particularly regret. Following this, we decided to launch a second analysis, an intelligent analysis of the computer. More advanced, it is also much longer, so long that the PC has crashed and never let the much hoped-for window indicating "Analysis complete" appear. Nevertheless, with more than 2000 infected files detected, ESET Internet Security has fulfilled its mission well and we thank it for that! Very satisfied last year with our ESET test, we were a little afraid this year to switch from ESET Smart Security to ESET Internet Security, but fortunately the publisher quickly reassured us. 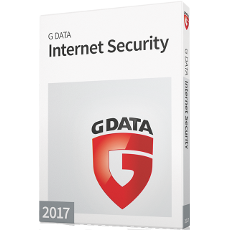 While ESET Internet Security version 10 is not in itself a new product, it is a greatly improved evolution of the previous software. Indeed, in developing this security suite, ESET has two main objectives: to respond to the new habits of its customers and to counter emerging threats. Well, after this test we can say it, the contract is fulfilled. 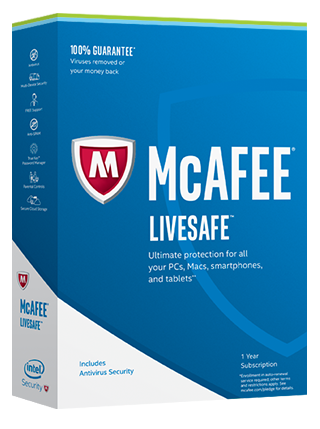 The new features of this security suite bring a real added value to the product which suddenly climbs in our ranking. First place could even be awarded to the publisher next year if he adds a VPN to his software.